All giclée art prints are hand signed, titled and numbered by Kevin Hunter. Hand printed using archival pigment inks onto artists quality heavyweight paper. ​Detailed print information/sizes and examples images can be viewed further down this page. 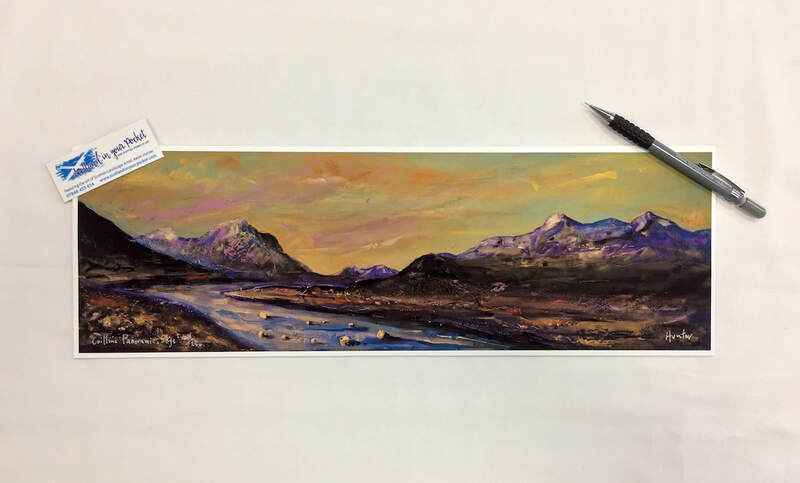 ​You will receive your chosen painting in that format. Print size 42 cm x 14 cm. Arrives flat with protective backing board and cello bag. Hand signed, titled and numbered limited edition prints of 250. Printed using archival inks and heavyweight paper. 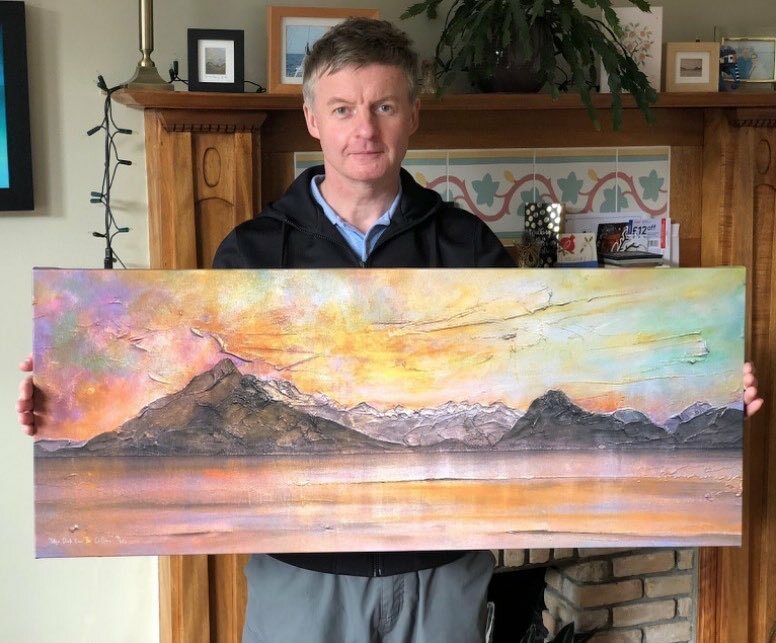 Example shows: 'The Cuillins Panoramic - Skye'. Outside frame size 20 cm x 12 cm. Image Size 12 cm x 5 cm. 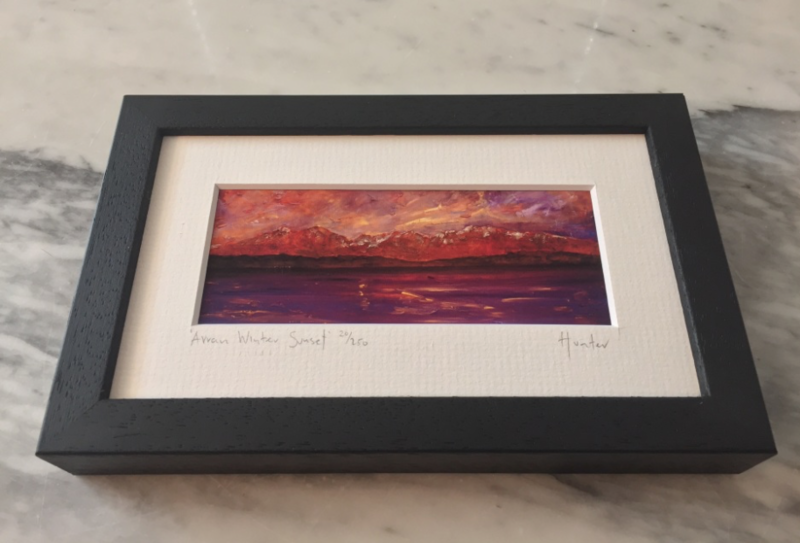 Example shows: 'Arran Winter Dusk ii Panoramic'. Outside frame size 30 cm x 22 cm. Image Size 20 cm x 9 cm. 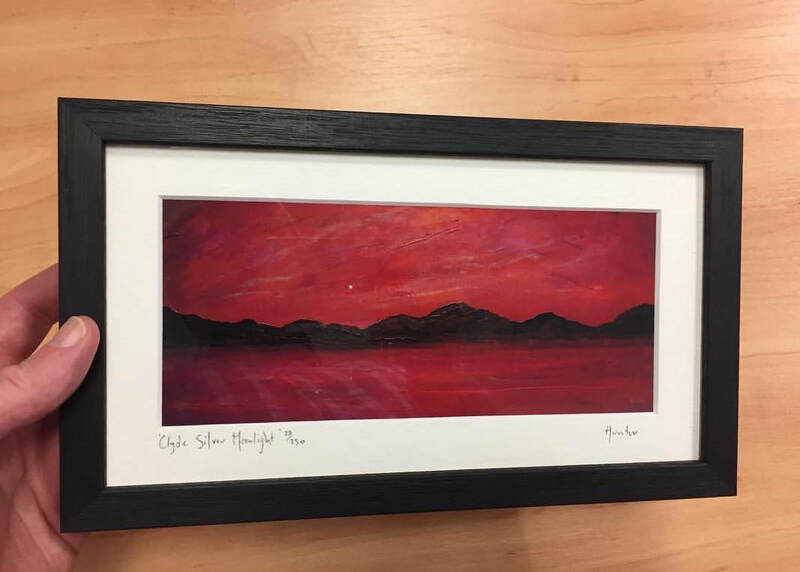 Example shows: 'Clyde Silver Moonlight Panoramic'. Outside frame size: 19 inches x 11 inches. (48 cm x 28 cm). Print Size: 14 inches x 6 inches. (35 cm x 15 cm). 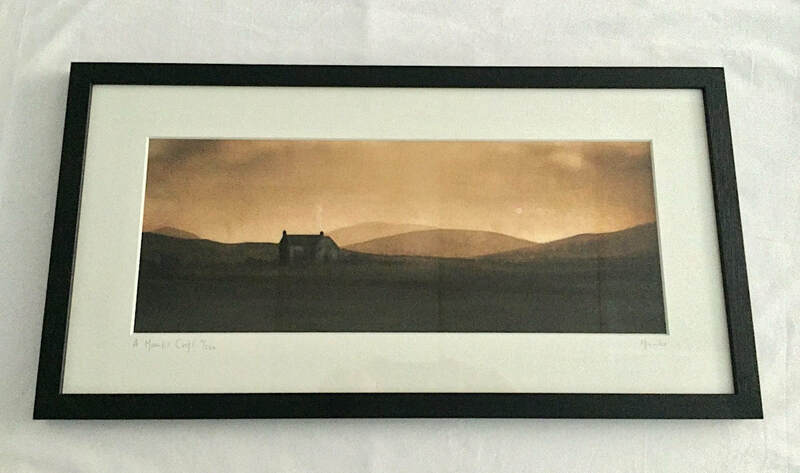 Example shows: 'A Moonlit Croft Panoramic'. Outside frame size: 23 inches x 13 inches. (58 cm x 33 cm). Print Size: 17 inches x 7 inches. (43 cm x 17 cm). Limited edition run of 250. Each canvas print is hand signed, titled and numbered. Printed using Giclee inks and comes hand stretched with the image continuing around the stretcher for a contemporary look. Arrive ready to hang and are 1.25 inches deep (3 cm). 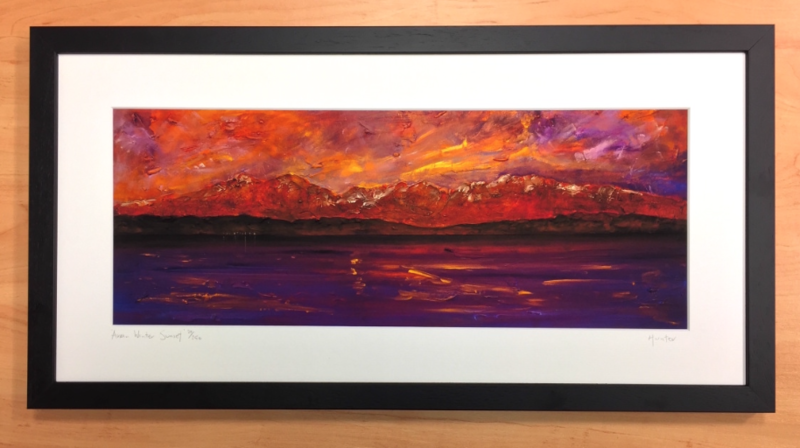 Example shows an X-Large 'The Cuillins Panoramic Dusk - Skye'.